North Korea on Sunday threatened a preemptive strike in response to South Korean and US special operations troops' recent drills for incapacitating Pyongyang's leadership in case of conflict. The North Korean People's Army issued a statement saying that it is ready to fend off any attempts by enemy commandos to attack its leader. "We will mercilessly trample on all their attempts with our own preemptive special operations and our own preemptive strikes," a spokesman of the General Staff Department said. The statement said the North's attacks will be carried out without warning and at a time it determines, as long as US special operations forces remain in South Korea. US commandos, including Navy SEAL Team 6, Army Rangers, Delta Force and Green Berets, took part in the annual joint Foal Eagle and Key Resolve exercises with South Korea this month. In response, South Korea's Joint Chiefs of Staff issued a statement warning the North of consequences of its provocation. 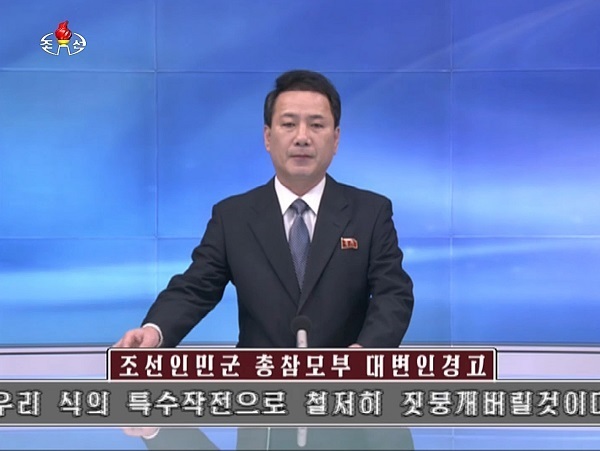 "If the North provokes, our military will sternly retaliate as we have prepared and ensure such an action leads to self-destruction," it said.